From a very early age growing up in his hometown of Santa Fe, New Mexico, David Romero knew he would be working in news and as part of the media. Beginning his career in radio while in college at the University of New Mexico, David earned his Bachelor’s Degree in Mass Communication/Journalism with an emphasis in Broadcast in May 2000. Also during this time, David made the switch from radio to television with jobs in production at the local PBS affiliate as well as reporting for the Spanish Language News affiliate in Albuquerque. 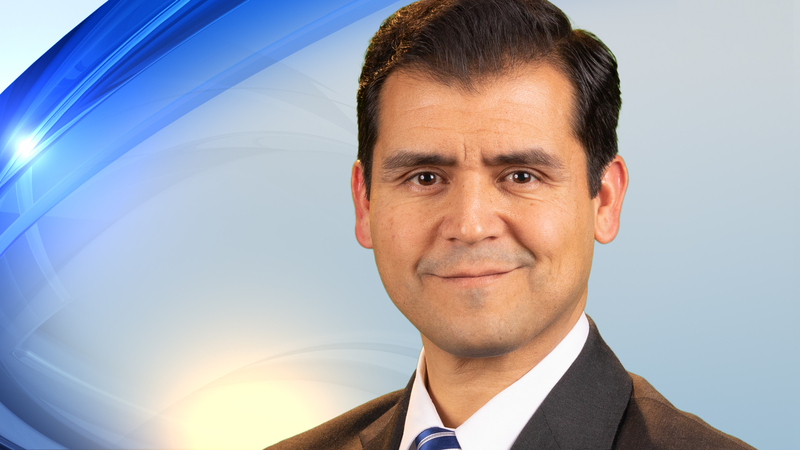 Then, in September 2005, David started work at KRQE-TV. In his time at KRQE News 13, David’s range of abilities incorporated into his job as a multi-media journalist. This includes writing, reporting and setting-up his live shots for the broadcast. A couple of stories that really stand out to David is President Obama’s first visit to New Mexico as President in 2009 and fourteen straight days of covering the Las Conchas fire in June 2011. Some of David’s reports on the Las Conchas Fire were used live on The Early Show on CBS. David’s enthusiasm for telling stories about news in his home state and his family are two big reasons he has remained in this market and at KRQE. From the lighter hearted stories to breaking news events of the day, David continues an interest in broadcasting that began many years ago and will continue for many to come. It's a long way from Shreveport, Louisiana to Albuquerque, New Mexico. In that 800-mile journey, Dr. Lenton Malry had a number of firsts along the way. He's accused in connection with the death of Victoria Martens, and now he's asking a judge to let him out of jail. It's hard not to be considered haunted when the place you live was once known as a ghost town, but for people living in Madrid, New Mexico, they say it's part of their charm. For many who live in Taos, they will do anything to assure you that something is buzzing in the air. It's a phenomenon known as the Taos Hum. The 19th Century entrepreneur Fred Harvey is arguably the father of the hospitality industry in New Mexico. New Mexico has always been a haven for small businesses to thrive in our state. The same can be said for one business in Mesilla, New Mexico. New Mexico has earned the reputation as the Land of Enchantment and that not only applies to the landscape, but the people as well, helping the citizens of New Mexico and the United States in establishing our rich political arena. Albuquerque mother, Theresa Fresquez has started a petition asking Mayor Tim Keller to continue searching for possible human remains on the West Mesa.